Most of the following books are only available in electronic form (i.e., they are not available to be purchased in hard copy at this time), and may be freely downloaded and circulated with the one requirement that they must be distributed with the copyright information intact. There are some shorter articles and also non-English language books available. Christian Leadership University also hosts Spirit-anointed scholarly free books and articles. Explore the Communion With God Newsletter: "God's Voice Worldwide". If you are blessed by these free books and articles, please be sure to browse our complete catalog of all available books, CDs and DVDs by the same authors. You can also contribute to help further spread the message of Communion With God to the world. All materials are by Mark and Patti Virkler, unless noted otherwise. 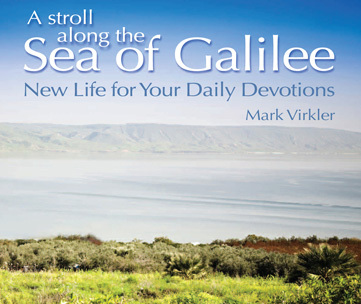 ​Mark Virkler introduces this website and Communion With God Ministries in this video. My sheep hear My voice (Jn. 10:27). Survey Responses From Those Who Completed the 3 Month Course on "How to Hear God's Voice." They are EXCITED!!! Powerful examples of conversations with God. Help! I Have Trouble Seeing Vision! Tent Time - A fun way to teach kids how to hear God's voice! <---- New! His name shall be called Wonderful Counselor (Is. 9:6). The words that I have spoken to you are spirit and are life (Jn. 6:63). How to Deepen Your Spiritual Sensitivity! Jesus perceived in His spirit... (Mk. 2:8). How to Receive God's Counsel Through Dreams! God speaks again and again, though people do not recognize it. He speaks in dreams, in visions of the night when deep sleep falls on people as they lie in bed. He whispers in their ear and terrifies them with His warning. He causes them to change their minds; He keeps them from pride (Job 33:14-17 NLT). The Dream Maker - How to Have Mountain-Moving Faith! God is the Dream Maker. He gives us dreams, sustains these dreams and fulfills these dreams. It begins, continues and ends with Almighty God! Additional materials available under the title "Spirit Born Creativity"
And He said, "If you will give earnest heed to the voice of the Lord your God, and do what is right in His sight, and give ear to His commandments, and keep all His statutes, I will put none of the diseases on you which I have put on the Egyptians; for I, the Lord, am your healer" (Ex. 15:26). To download, right-click on MP3 link and select "Save Target As..." or "Save Link As..."
Were not our hearts burning within us while He was speaking to us on the road, while He was explaining the Scriptures to us? (Lk. 24:32). Thoughts from Mark Virkler: I have hungered for this for years...a New Testament with journaling questions alongside each Bible story. Now we have it! The journaling questions guide you in asking Jesus to grant you personal revelation and specific life application concerning the passage you are reading. How to Recognize Counterfeit Movements! Examine everything carefully; hold fast to that which is good (I Thess. 5:21). How to Be a Spirit-Led Communicator! For He taught them as one having authority, and not as the scribes (Matt. 7:29). And He gave...for the equipping...until we all attain... (Eph. 4:11-13). How to Start a Church-centered Bible School! If I Die Without Confessing My Last Sin, Will I Still Go to Heaven? Many of these books have been translated into various languages, and are available in electronic form. We encourage you to freely download and circulate them.